Orders are usually shipped out the same day if the order is received by 2:00 p.m. EST. However, this is not guaranteed, we do our best to get you the product as soon as possible. 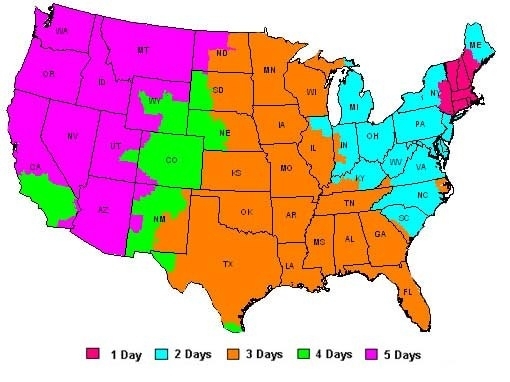 At this time we offer Ground shipping which can take between 3-7 business days depending on where in the U.S. you are located. Most orders will be shipped from our Gilford, NH location. If you require expedited shipping or Shipping to Alaska, Hawaii, Canada or Overseas please give our store a call. These shipping charges will be based on weight and dimensions of the package(s). Any additional charges such as duties, taxes and custom charges will be the resposibilty of the customer.